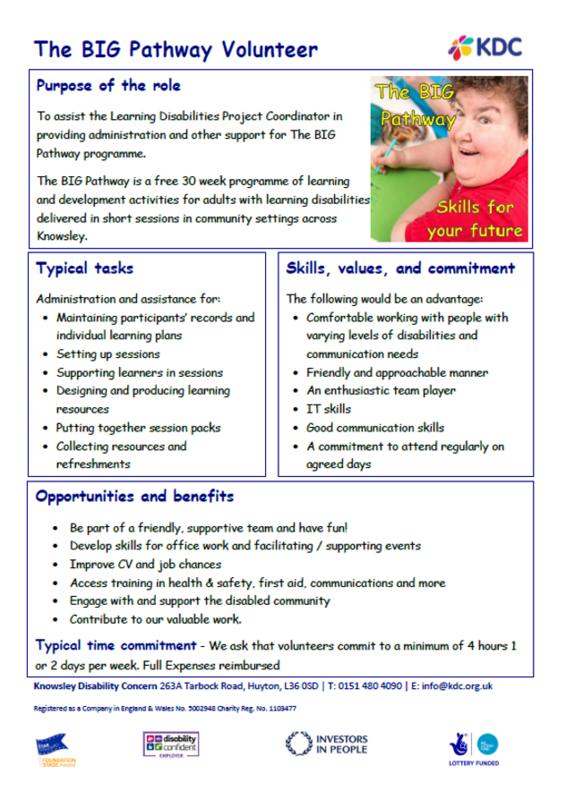 The BIG Pathway is a free programme of learning and development activities for adults with learning disabilities delivered in short sessions in community settings across Knowsley. Think about doing new things in the future – even a job! The course is free for adults 18+ with learning disabilities in receipt of benefits. To enrol on The BIG Pathway for 2019 contact us on 0151 480 4090 and speak to Johanne, places are limited. KDC’s Big Pathway wins Community Project of the Year award! Click here for more information.